Stunning estate ~ luxurious builder's home, 14+ acres (bring the horses), in-ground pool, pond, bold creek, 3-car attached garage, elevator to all 3 levels of the home, dual staircases, 12-seat home theater, detached garage for car enthusiasts, RV, boat, sports court. Relax on 2 screened porches, multiple covered porches and patios. This sprawling home boasts sophisticated elegance with formals, main level bedroom, cherry-paneled office, columns, extensive moldings, extravagant details appealing to the most discerning buyer. Fabulous kitchen with island, granite, stainless appliances, open to huge casual dining area and main level den with fireplace. 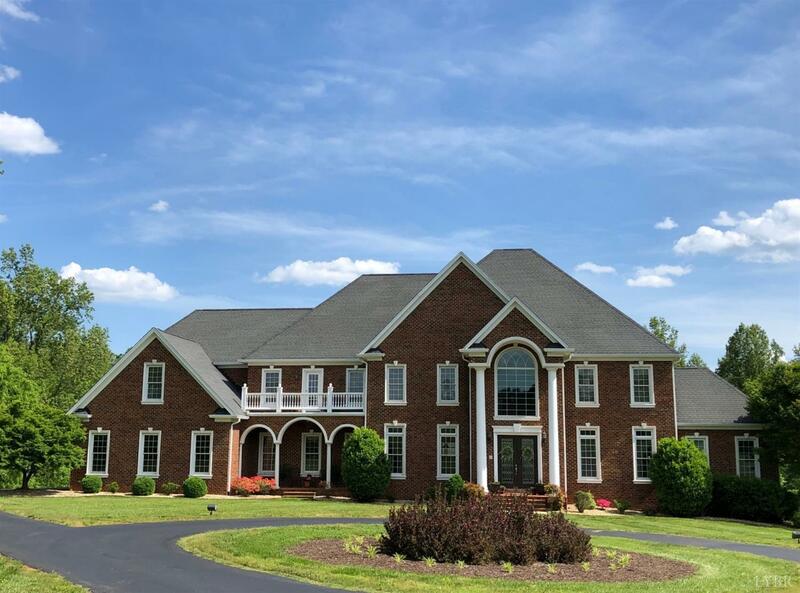 Second level boasts impeccable master suite with fireplace, wet bar, sitting area, balcony to enjoy picturesque Blue Ridge Mountain views, sunsets. Pampering master bath, tile shower, whirlpool, his/hers closets. 3 other bedroom suites, walk-up attic. Terrace level boasts billiards room, theater, fitness center, access to pool. MUST SEE!